This is the first in a regular series where Underdog.io customers will discuss their technology stacks and some of the thinking behind their architecture. First up is Doug Petkanics, Co-Founder and VP of Engineering at Wildcard. Wildcard released their iOS app yesterday after 18 months of building. Doug and the Wildcard team have made multiple engineering hires through Underdog.io. Describe Wildcard in 2-3 sentences. 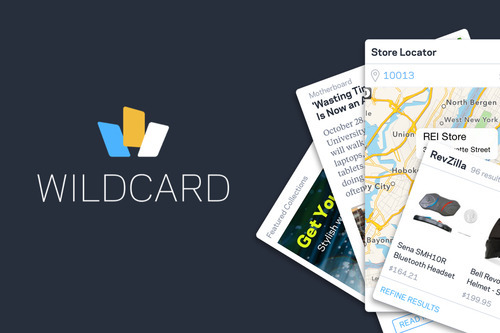 Wildcard is building a better mobile web. We’re working simultaneously on the world’s first mobile browser for fast, native cards like the cards you see in Twitter or Google Now, and the technology to convert existing web sites into cards on the fly. Engineering challenges range from consumer app development to large scale data processing. Wildcard’s core platform, which sits between every card interaction and the existing legacy web, is built in Java. It needs to be fast, scalable, interoperable with the big data ecosystems, and operationally sound. 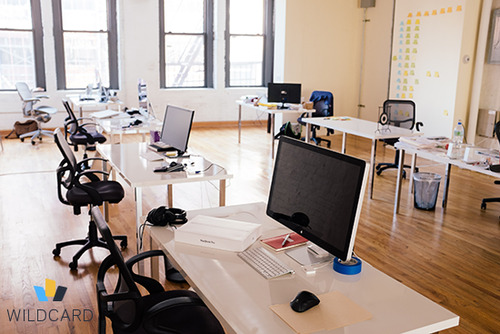 Other languages that are very popular within the company include Python for scripting and data work, Ruby for building web based tools, and Objective-C for iOS development. Our high performance APIs are built using DropWizard on the JVM stack, and Sinatra + Rails are both used for building tools or lightweight services. We like the speed of development that we get in the Ruby world, and the reliability, performance, and simplicity of DropWizard for building APIs. At Wildcard we’re big fans of MongoDB for both serving application data and as a workflow tool for data related processes. JSON is the language of APIs and of our Cards themselves which are represented nicely as documents in Mongo. ElasticSearch is another important data tool for us on the indexing side. We use both Chef and Docker. The point of these DevOps tools are to provide repeatability and automation so that developers can focus on solving hard problems related to Wildcard’s applications, and not have to spend time configuring and operating different environments and services. Our talented DevOps lead has done a great job of implementing and documenting our processes around these tools so that the rest of the engineering team can be as efficient as possible. I’m most excited about our pipelined data processing system which attempts to convert the existing internet into mobile friendly cards. This system consists of crawling, classification, data extraction, schemas and data structures, both algorithmic approaches and human input, and a whole lot of hard academic style engineering problems. Imagine building a black box that takes as input any random web page, and has to output a small app-like experience that’s great to use on mobile. That’s a fun challenge! Thanks, Doug and Wildcard! Be sure to check out the Wildcard iOS app to see all of this tech in action, and email josh@underdog.io if you’d like to be featured in the next installment in this series.